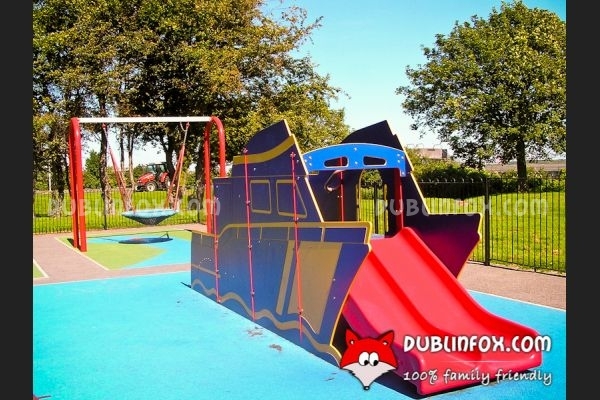 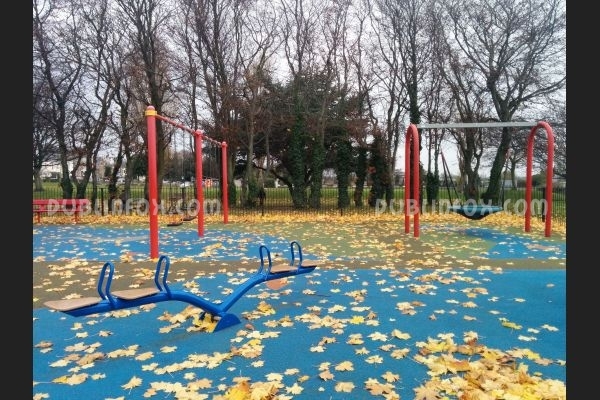 Similarly to Blackrock Park, Booterstown Park is only a few minutes' walk from the DART station, so watching the trains whizzing by while swinging or sliding may be an extra if your kids are railway buffs. 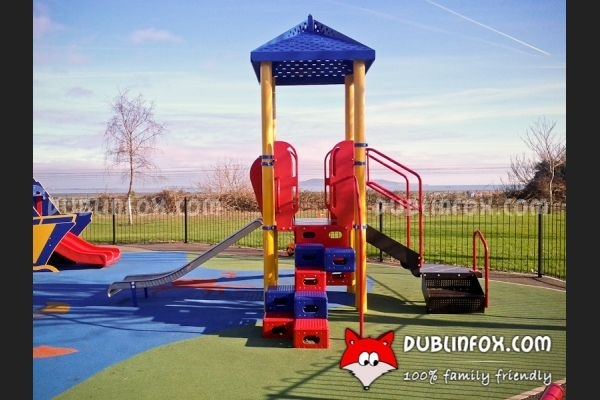 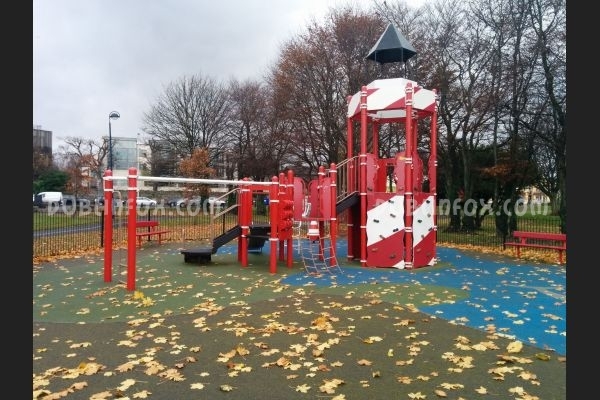 The playground itself is colourful, modern and sunny. 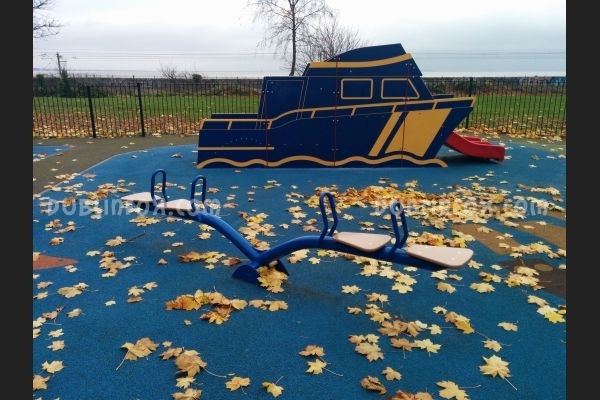 The boat-like toddler slide unit is an absolute hit for the little ones, but there are two other slide units too for older kids. 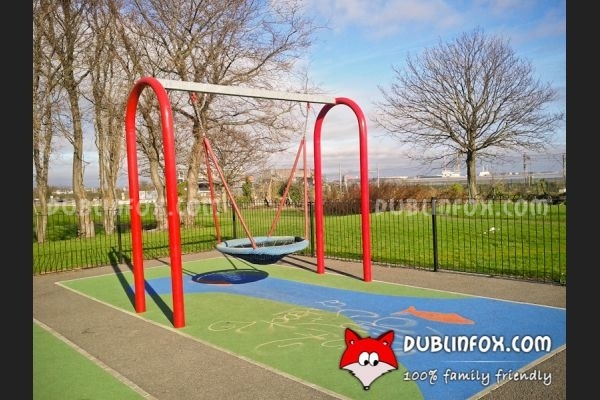 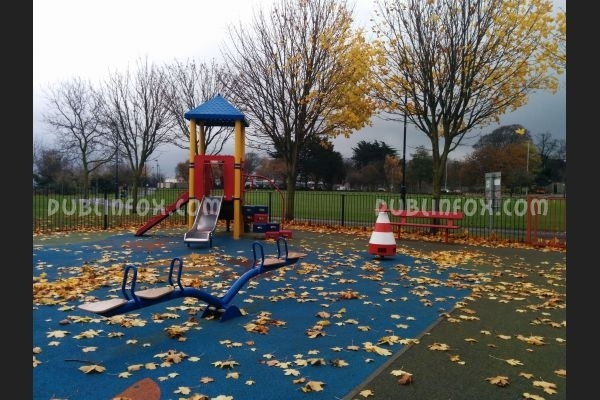 Although there are only 4 swings (plus a basket swing), as the playground is usually not overcrowded, kids generally do not have to queue and wait for each other if they want to take a ride on one of the swings. 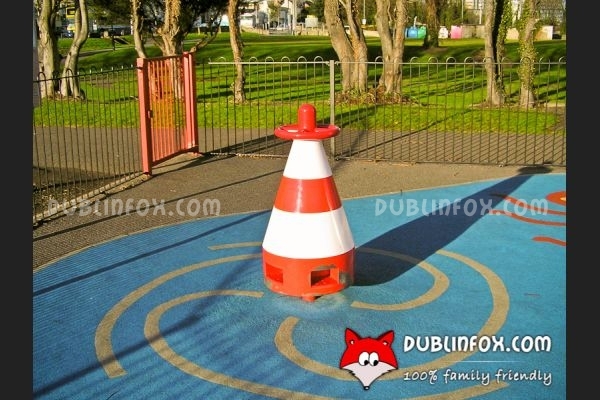 The lighthouse shaped spinners are unique and inviting and there is a small see-saw in the playground, too. 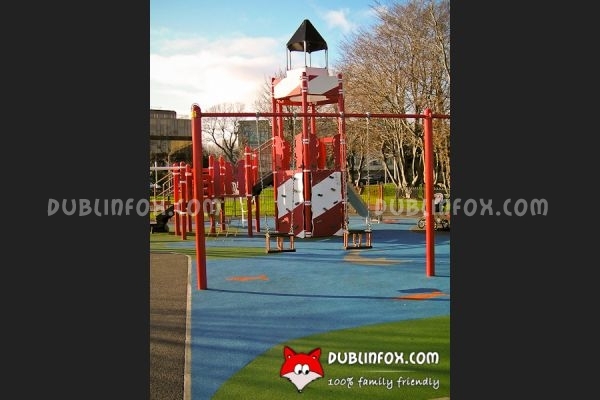 Unfortunately the park is nestled between the DART line and the busy Rock road, so if you decide to play ball games or frisbee, be careful of the cars rushing by!